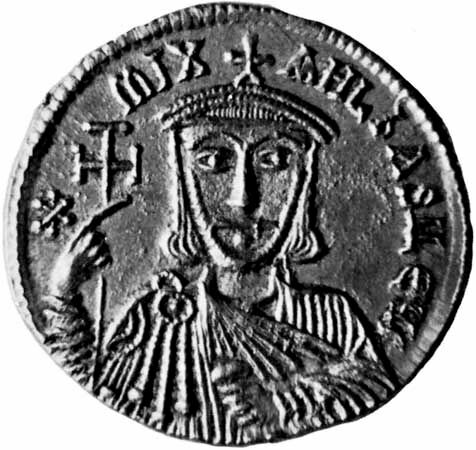 Michael II reigned as Byzantine Emperor from 25 December 820 to his death on 2 October 829, the first ruler of the Phrygian or Amorian dynasty. Born in Amorium, Michael was a soldier, rising to high rank along with his colleague Leo V the Armenian. He helped Leo overthrow and take the place of Emperor Michael I Rangabe. However, after they fell out Leo sentenced Michael to death. Michael then masterminded a conspiracy which resulted in Leo's assassination at Christmas in 820. Immediately he faced the long revolt of Thomas the Slav, which almost cost him his throne and was not completely quelled until Spring 824. Because of his Judeo-Christian origin and iconoclasm, Michael II was not popular among Orthodox clergy, who depicted him as an ignorant and poorly educated peasant, but Michael II was a competent statesman and administrator. He brought stability to most of the Byzantine Empire for the first time in many generations and began restoration of the Byzantine military. He died on October 2, 829.